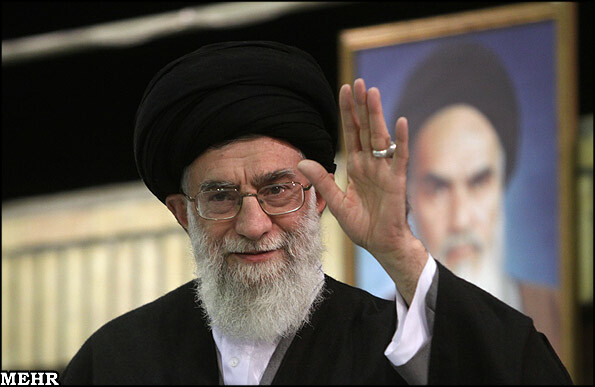 Supreme Leader Ali Khamenei's refusal of an offer to achieve "national reconciliation" in Iran by ending the six-year extrajudicial house arrests of three opposition leaders has crushed hopes that the state's crackdown on dissidents, which intensified in response to the nationwide protests against the results of the disputed 2009 election, would finally end. Embracing national reconciliation would have helped current President Hassan Rouhani fulfill his 2013 presidential campaign promises of freeing political prisoners, ending the house arrests, and holding up the rule of law, which was severely eroded after hardliners forced the country into a heightened state of security following the 2009 protests. By slamming the door shut on any kind of compromise on the issue of the house arrests, Khamenei has made the prospect of reform in Iran highly unlikely. 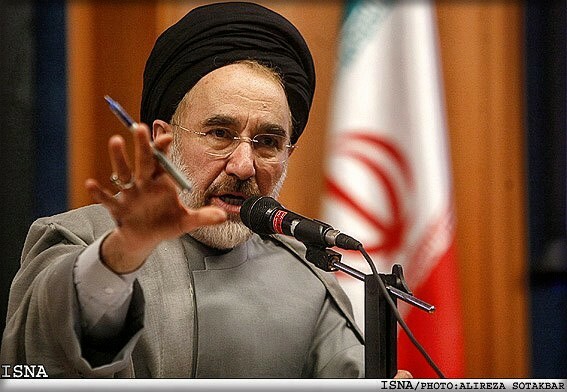 During a February 7 speech, four days before the 38th anniversary of Iran's 1979 revolution, former President Mohammad Khatami (1997 to 2005) suggested that releasing presidential candidates Mir Hossein Mousavi, Mehdi Karroubi, and Zahra Rahnavard would allow the Islamic Republic, which has been in a state of internal conflict and political polarization since 2009, to move towards unity and stability. Khamenei dismissed Khatami's offer by offering a revisionist version of the country's recent history. "What do the people want reconciliation for?" he said during a speech televised on state TV on February 15. "Are they in conflict with each other? There's no conflict." "But of course the people do have an axe to grind with those who desecrated the day of Ashura in 2009 by atrociously and shamelessly ripping the clothes off young Basiji militiamen in the streets and beating them up," he declared. "The people will never reconcile with [the attackers]." Ashura, the holiest religious day in Iran on December 27, turned into one of the bloodiest days of 2009 when at least seven protesters including Beigi were killed and hundreds were arrested during continued protests against the election and the state's violent response. However, according to Khamenei's version of events, the armed aggressors, including the paramilitary Basij, were the real victims. Iran's supreme leader-the country's ultimate decision-maker-is supposed to avoid taking sides in political disputes so he can serve as a neutral arbitrator when conflicts arise. Khamenei broke with this tradition in 2009 when he backed former hardline President Mahmoud Ahmadinejad's violent crackdown on the protestors, and completely destroyed it this month by not only refusing to compromise with his critics, but also trying to paint the victims of the crackdown as the victimizers. Khamenei has in fact solidified his links with hardliners, especially the Revolutionary Guards. In late 2016, he strengthened his alliance with them by appointing ultra-conservatives to key military positions. On December 7 he named Gholam-Hossein Gheibparvar as the new commander of the Basij, and on December 26 placed hardline Revolutionary Guards commander Hossein Nejat as the new head of its Intelligence Organization, which is responsible for most of the arrests of political and civil rights activists. "Questioning the validity of the election was just an excuse," said Khamenei in his speech, indirectly referring to anyone and everyone who disputed the results of the 2009 election-the irregularities of which led to nationwide protests. "Their real target was the revolution's very foundation, but they are few in number; only a drop compared to the vast and vital ocean that is the nation of Iran." "When it comes to Islam, Iran, independence and resisting the enemy, the nation of Iran will stand firm and united," he added. "Naturally, a couple of people might have a different point of view about some political issues, but that's not anything important." "Anyone willing to live within the framework of the Constitution should have freedom of action and enjoy all the rights and freedoms granted to citizens," said Khatami during his speech. "Now is the best time to bring about national reconciliation and pave the road for solidarity among all political factions because we need to face something more real and that is the need to unite everyone who cares about the sate and confront outside threats and verbal attacks of those who fundamentally oppose Islam, the revolution and Iran," he added. He continued: "What I'm saying is that none of us should be stuck in the past. Let's all look to the future. Those who are under house arrest or in prison have deep sympathy for the revolution and the country and oppose foreign threats and they certainly care more about issues than many of those who claim to be revolutionaries." "We must take advantage of this opportunity and prepare the ground for national reconciliation and wisely move towards defending Islam, the revolution, the country and the interests of the people," said Khatami. "I'm optimistic about making national reconciliation and domestic solidarity a reality, but the foundations must be laid by the country's rulers." Rouhani indirectly welcomed Khatami's idea during his speech on February 11 at a rally in Tehran's Azadi Square. "We want to build a free, prosperous and independent Iran and we will follow the great supreme leader towards national solidarity and reconciliation," he said. Khamenei's televised rejection of Khatami's offer of national reconciliation was unusual in that it was bound to spark public debate in a country where the mainstream media are forbidden from mentioning Khatami's name or publishing his photo. Many hardliners responded to the offer by claiming that Khatami, Rouhani and their allies have been weakened by the recent death of former President Akbar Hashemi Rafsanjani-the only member of Iran's political elite who supported them-and are scrambling to become relevant again. Others embraced the idea of moving the Islamic Republic into a less volatile state. 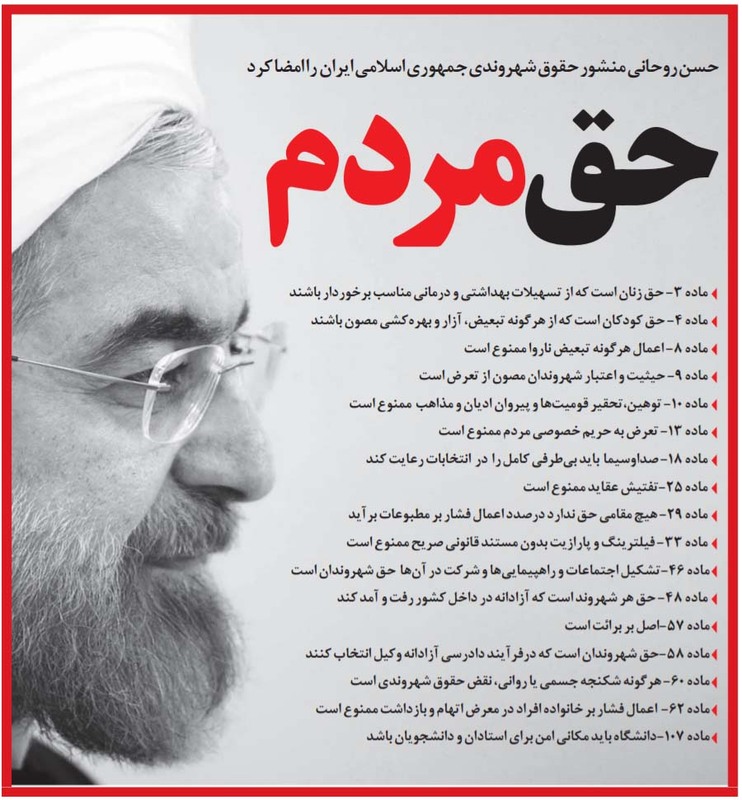 On February 12, the ultra-conservative editor of Kayhan newspaper, Hossein Shariatmadari-while refusing to mention Khatami by name-accused those offering national reconciliation of being agents of the US, Israel and Britain "on a new mission to incite another sedition (protests)... and infiltrate decision-making quarters with the objective to change the country's [revolutionary and anti-Western] policies." "If the opponents of the outcome of the 2009 election want to repent, they can join the faithful in the mosques and pray to God, but they should know that shoe thieves will not become pious leaders overnight," declared Vatan Emrooz, a news daily closely affiliated with the Revolutionary Guards, on February 11. Hardline Judiciary Chief Sadegh Larijani meanwhile claimed that the only problem Iran has is the people who refuse to follow hardline policies. 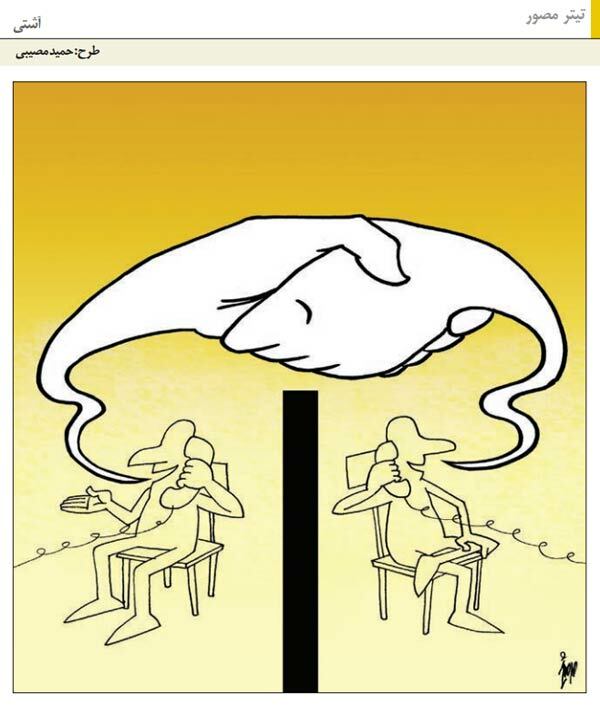 "Some have said that the judiciary chief is against national reconciliation," he said on February 13." I am in no way opposed to reconciliation, peace and fraternity, but right now there's no issue that would require national reconciliation. The people are not cross with each other, so what do we need national reconciliation for?" "During the 2009 sedition, some separated themselves from the people," he added. "That's their problem, not the people's. They should come back and rejoin the people instead of siding with (foreign) enemies. The way to come back is to accept their mistakes." "Sometimes individuals become stubborn and don't want to say they were wrong," he continued. "If those who abandoned the people really want a fair outcome, the door is open for them to take the first step. They should stop plotting and admit their mistakes." At the same time, some conservatives advocated for the merits of Khatami's offer. "National reconciliation and strengthening domestic pillars is everyone's wish," said conservative pundit Abbas Salimi-Namin in an interview on February 12. "Gathering all our existing capabilities against those who wish ill for our country can have a wide impact." "The precondition to national reconciliation is to end the house arrests of Mousavi and Karroubi," he added. Even a close confidant of Ahmadinejad, the combative former president at the center of the unrest in 2009, said he supports the idea of national reconciliation. "Conditions in the country make it necessary for the various factions to be on good terms," said former Vice President Mohammad Aliabadi on February 11. "Differences are inevitable, but national reconciliation is a must."